Yesterday, the Hogwarts Express started taking guests on a journey from London at Universal Studios Florida to Hogsmeade at Islands of Adventure and back again thanks to a soft opening. Granted, I got a sneak peak of the attraction two weeks ago, but there’s nothing like seeing it operate with real guests for the first time. They made a lot of, in my opinion, genius decisions when designing this experience and it goes far beyond authenticity. 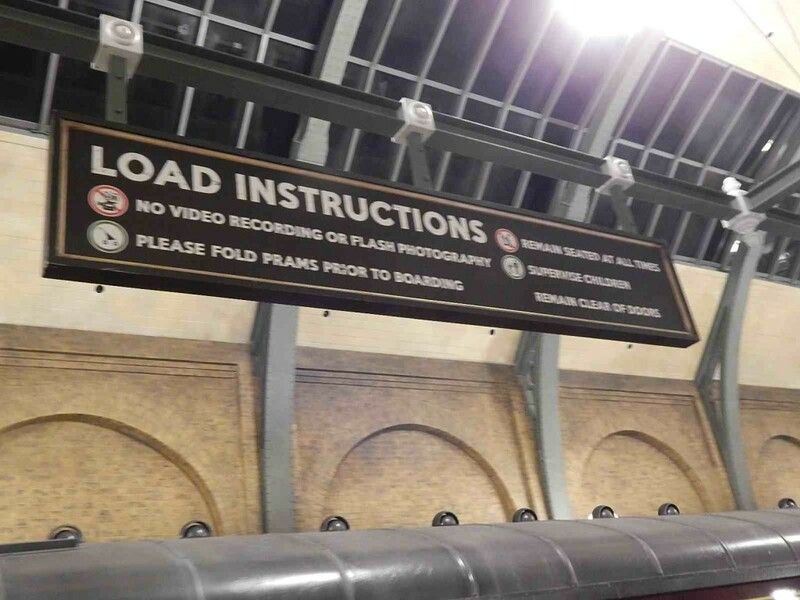 In order to ride the Hogwarts Express, you must have a two park ticket that allows you to see both parks. There is no option to just hop on the train and do a round trip back to where you started from. This will easily be the toughest part of the operation for Universal Team Members considering some guests may scoff at the idea of upgrading their ticket to go on just one “ride.” However, Universal considers this a form of transpiration more than a ride, plus it drops you off in the back of either Universal Studios Florida or Islands of Adventure. Once you arrive, you are deep into the park. 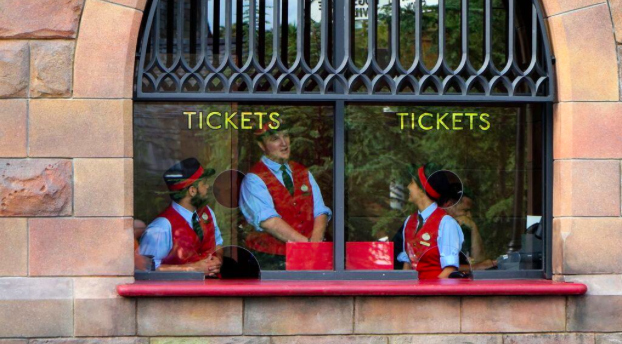 Luckily, there are Guest Services windows located just outside the train stations on either side if you need to upgrade your ticket without having to return to the front of the park. Currently, in order upgrade your ticket from a single park to a multi-park ticket, no matter whether you buy a one day or four day pass, it will cost you an additional $40 per person. For either an adult or a child. Now you may be scoffing at that cost, but I will be the first to tell you as of the first day of soft openings, there was a small line of guests at both ticket windows waiting to plunk down their dough. 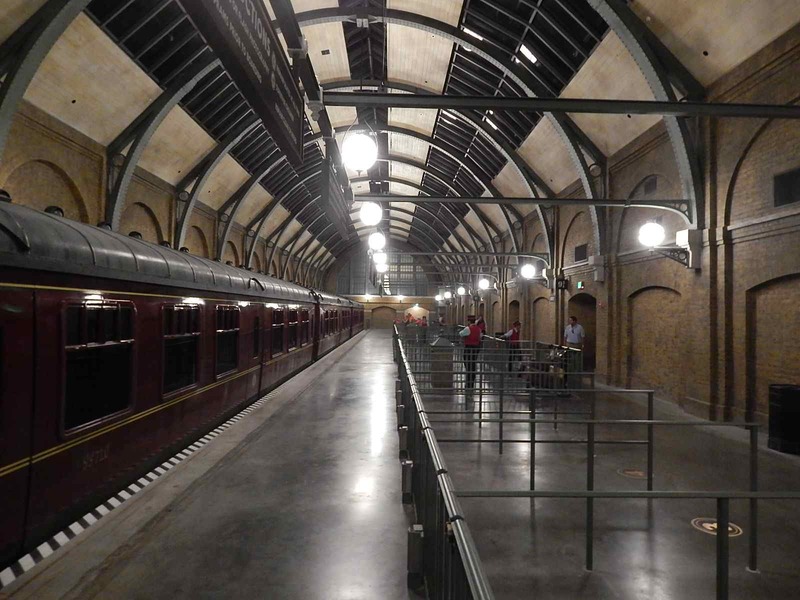 If you are an annual pass holder, you are automatically granted admission to the Hogwarts Express since those passes already have park to park access. 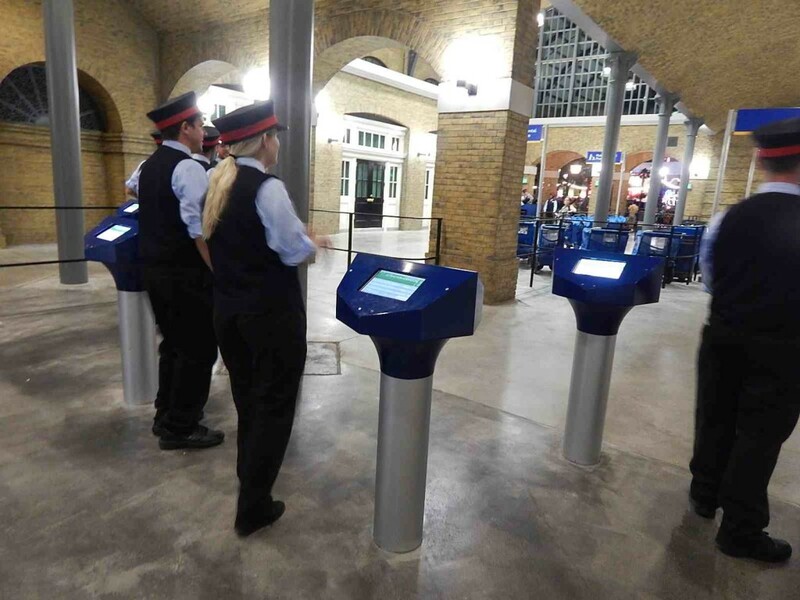 Outside of each station there is a greeter asking if everyone entering the line for Hogwarts Express has a park-to-park ticket, as long as they say yes, they proceed to these fancy new terminals. Team Members dressed as train conductors scan your park ticket, after all, you are actually leaving one park and entering another. Notice the design of the terminals: there is no traditional push-bar turnstile! 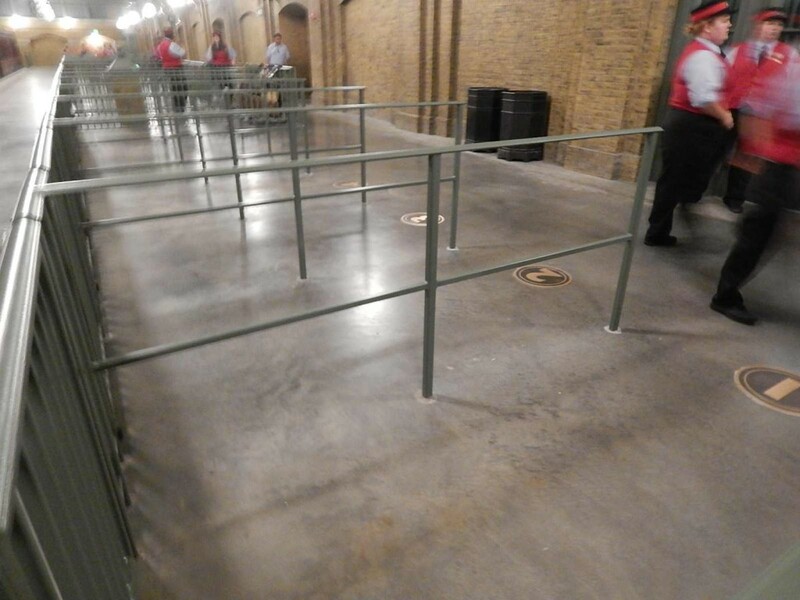 Yep, just like Disney World has done away with traditional turnstiles, Universal Orlando is now testing their own barrier free entry design. However, I think Universal’s approach is much smarter. Notice how the terminals are staggered like a small obstacle course that you have to maneuver around. This is intentional, so it’s more difficult for guests to rush around them without scanning their ticket. Disney deals with this problem for their My Magic Plus turnstiles every single day. Bravo to Universal for getting it right. 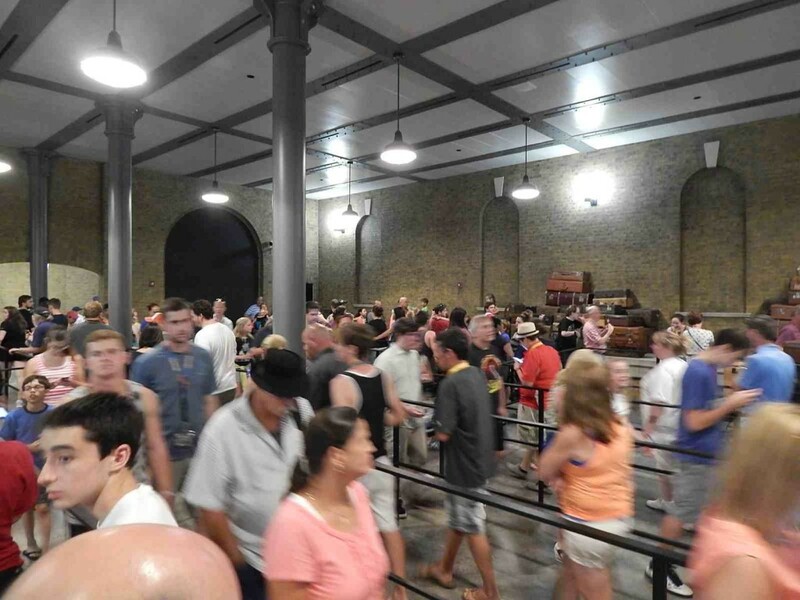 Regardless of whether you board on the London or Hogsmeade side, each of the queues are designed to accommodate roughly a four hour wait. Most of that is located on the lower level, while the train station sits on the platform above. Even though most of the queue is a traditional switchback, it moves pretty much constantly. Located smack dab in the middle of those switchbacks is a small snack stand. It is ingeniously placed between two sections of queue. This way, one or two members of your party can jump out of line, grab some refreshments, pay for them and rejoin the rest of your group by the time the line comes back around to the refreshment stand. Seriously genius design. To Universal’s credit, they kept the snack stand simple and authentic. There are no burgers, fries nor hot dogs either. Keep in mind, we are still in “London”, meaning the food has to represent something we would want to take on a train trip leaving the city. 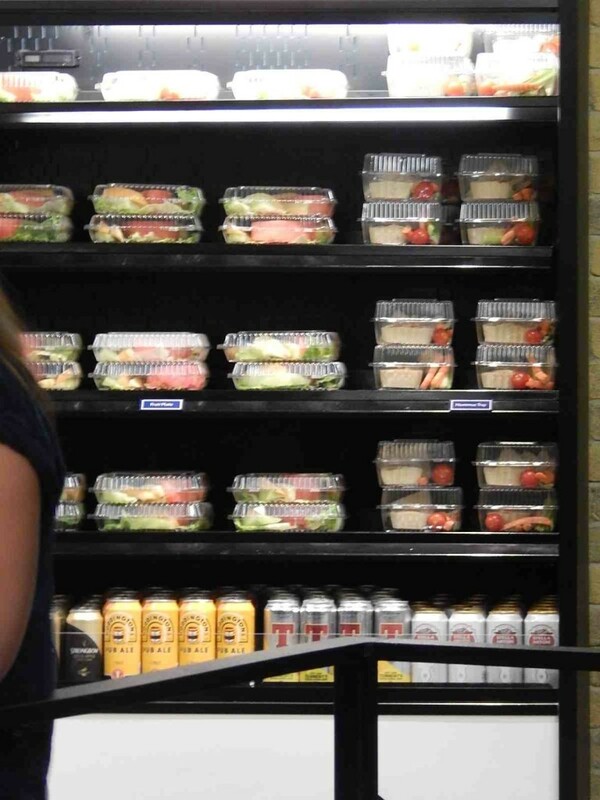 The coolers are stocked with fruit, sandwiches, salads and imported beers (technically domestic since we are in London, right?) as well as bottled water. Just like in a real train station, this is not a place to stop for lunch. It’s merely a pit stop on your way to the destination. 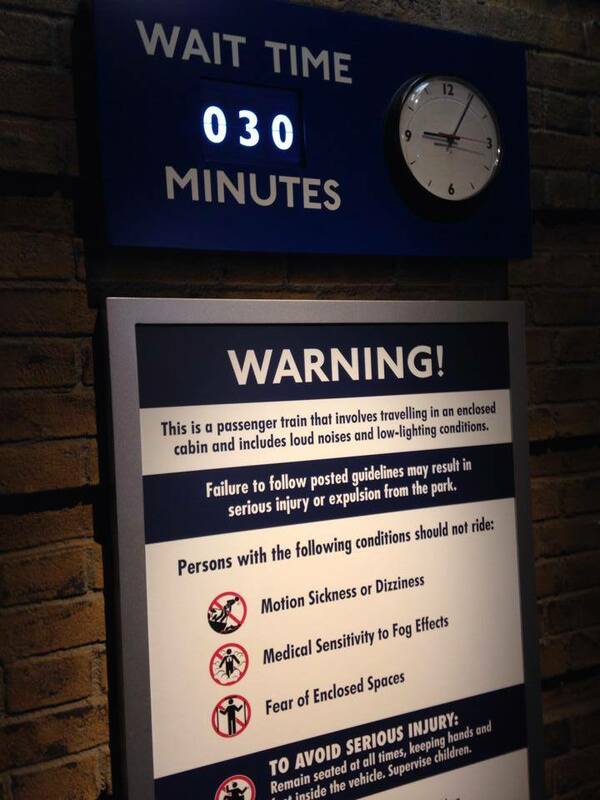 It serves an actual purpose in the theme park, it fits the theming and it’s functional for a constantly moving queue. Well played Universal, well played. Once you arrive on the upper floor, the train platform is nothing short of impressive. 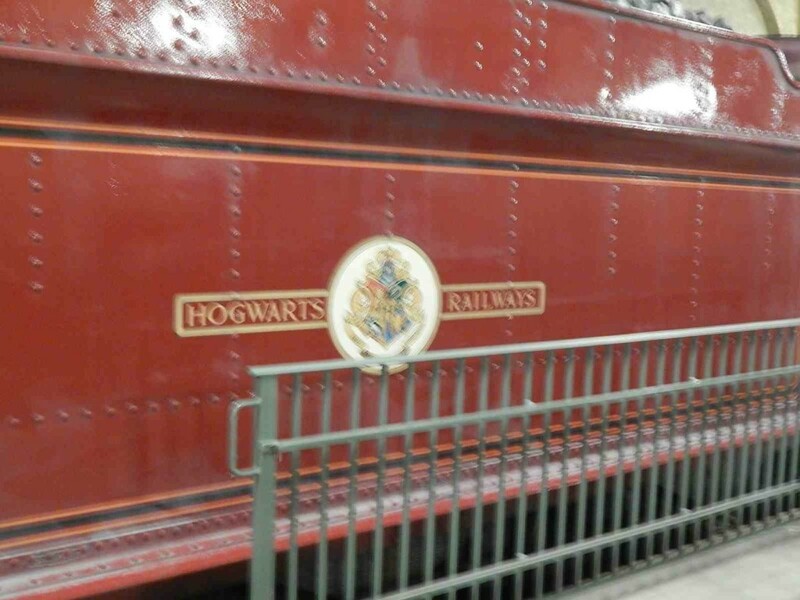 The Hogwarts Express consists of three passenger cars as well as the locomotive. Within each car lies individual compartments that can hold a maximum of eight passengers. Once the train leaves the station, grouping into each compartment begins and takes nearly the entirety of the train’s return trip to get everyone grouped. Currently, there is no single riders line to help fill single slots in each car. It would significantly reduce the wait time if one was implemented. 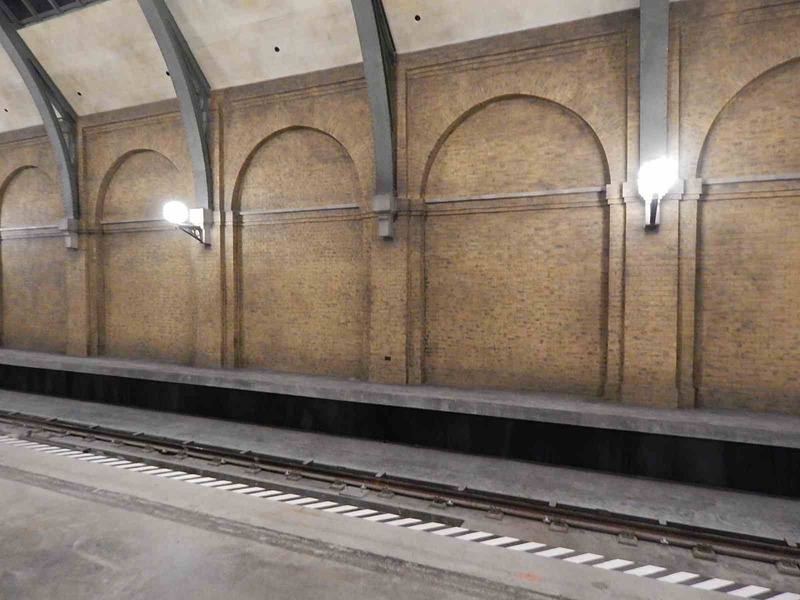 Each train must leave their respective stations simultaneously both in Hogsmeade and in London. They both follow the exact same track with a section in the middle just behind Revenge of the Mummy for them to cross beside each other. This means that the experience inside the train is timed exactly and there is no such thing as holding for clearance like a Walt Disney World monorail does halfway down the track. This can actually present a problem when loading wheelchairs. Let’s say that leaving London, there are no hold ups in the operation and everyone boards within 5 minutes of the gates opening. 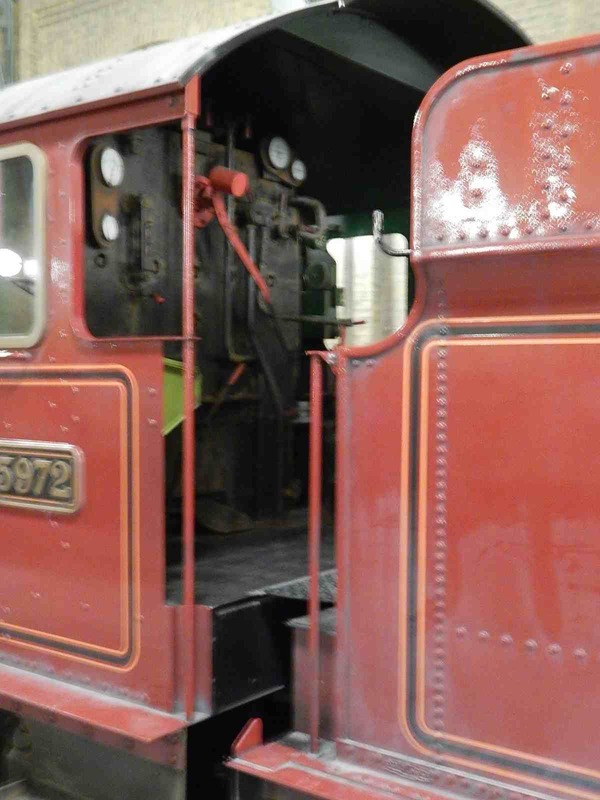 However, there is a full size electric wheelchair that needs to be loaded on the Hogsmeade side and they are having a tough time navigating through the train. Granted they ask that strollers be folded before boarding, which helps efficiency. However, those that can not leave their wheelchair can be loaded straight onto the train in compartments that can accommodate them. Authenticity comes at a price sometimes. 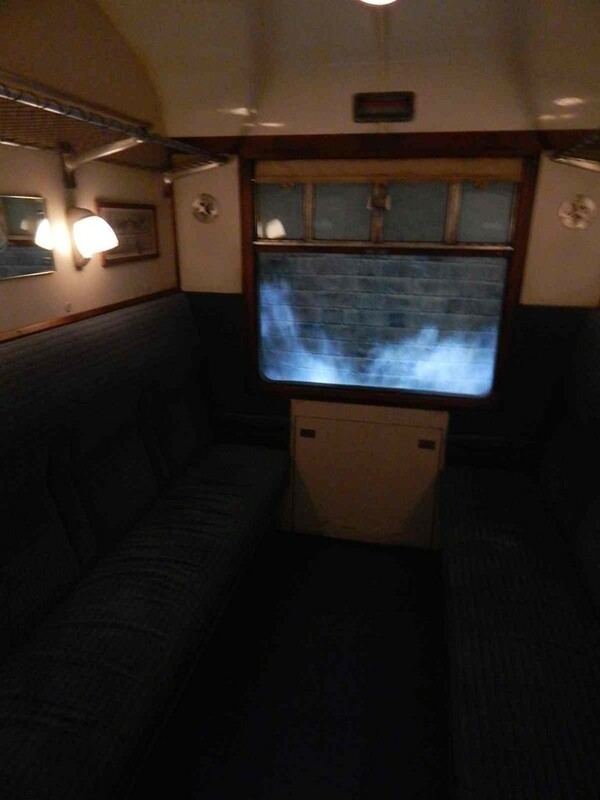 In the case of Hogwarts Express, the train corridors are extremely narrow to get to your assigned compartment. This is fine for walking, however, trying to navigate an electric wheelchair can be tricky. Even after only one day of operational use, there are scuff marks all along the bottom of the walls from chairs ramming them. A problem that, no doubt, Universal knew was coming in the design stage. In the end, it’s a small price to pay for easily the best transportation service a theme park has ever provided. It’s almost impossible to find a flaw with the look and feel of the train. 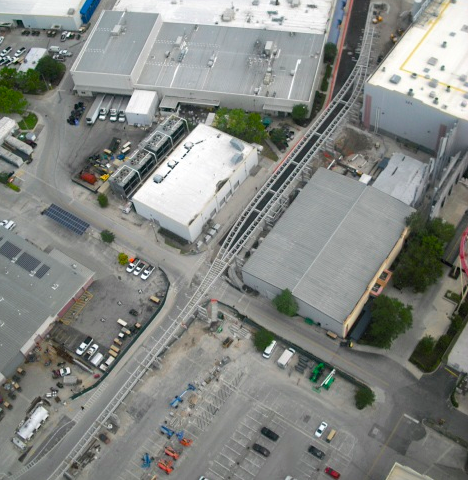 Even the train, which is driven by a cable in the center of the train track is hidden from guest view due to how high up the train sits and the distance from the loading gates to the actual train track. All intentional. Yet again, bravo to Universal. If I had to pick a favorite aspect of the Hogwarts Express, it’s the intimacy of the journey. Here you are waiting in line in this vast train station with literally hundreds of people and in the end, you are put into this little compartment with seven other people. Rows are facing each other, meaning it becomes somewhat of a social experience. Just like if you took a train ride in England and made a new friend or two, the same thing can now happen in a theme park. 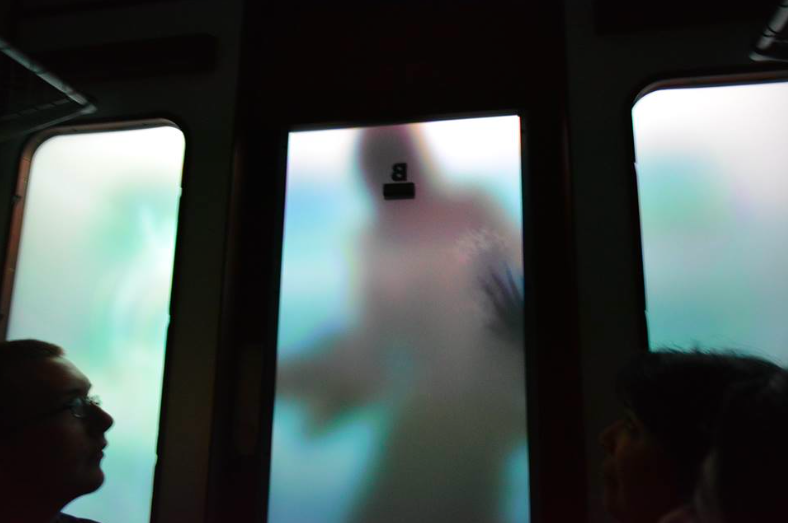 Without a doubt, my favorite effect in the attraction and possibly of all time, is the frosted glass in the car that’s opposite the “window”. 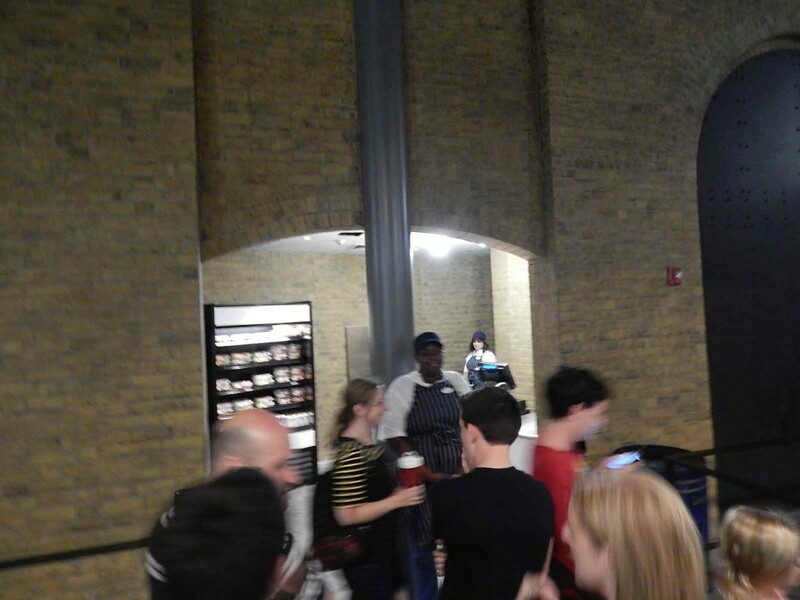 Every so often, you’ll see shadows of other “passengers” walking by who just so happen to be Harry, Ron and Hermione as well as some other recognizable villains from the film series. In my opinion, out of everything else I have experienced at Diagon Alley including Harry Potter and the Escape from Gringotts, the Hogwarts Express is absolutely fantastic and well worth making sure you have a park-to-park ticket to experience it. Make sure to follow Theme Park University on Twitter and take a moment to like our Facebook Page! This entry was posted in Universal and tagged Hogsmeade, Hogwarts Express, London, theme park design, Theme park transportation. Bookmark the permalink. Trackbacks are closed, but you can post a comment. The scuff marks along the base of the corridors are actually painted on by paint specialist. Eletric wheelchairs and wheelchairs do not go down the corridors. They are placed in the special cabinet by the porters. Please make sure all information that is reported is researched first. 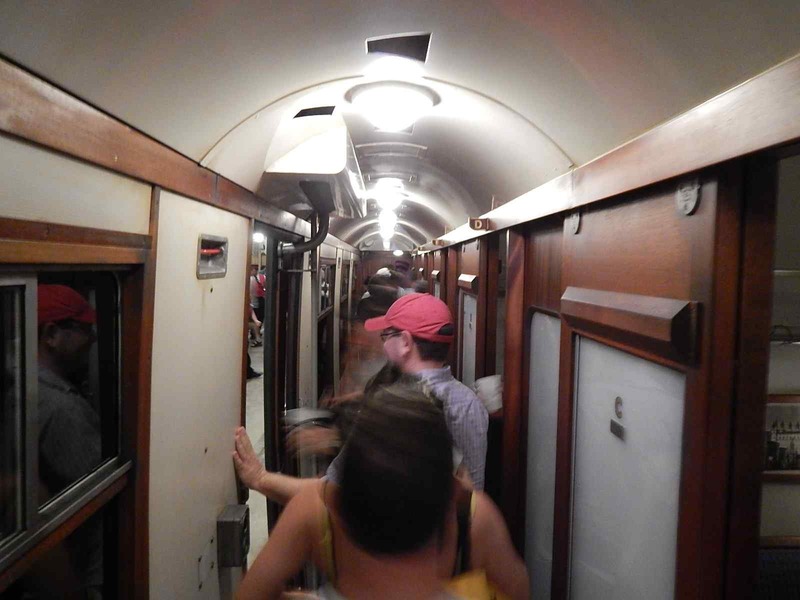 There are three cabins per train for ECV’s and wheelchairs. There is one larger accessible cabin per car. The trains are decorated to look used, like students have used it for transportation in previous years.